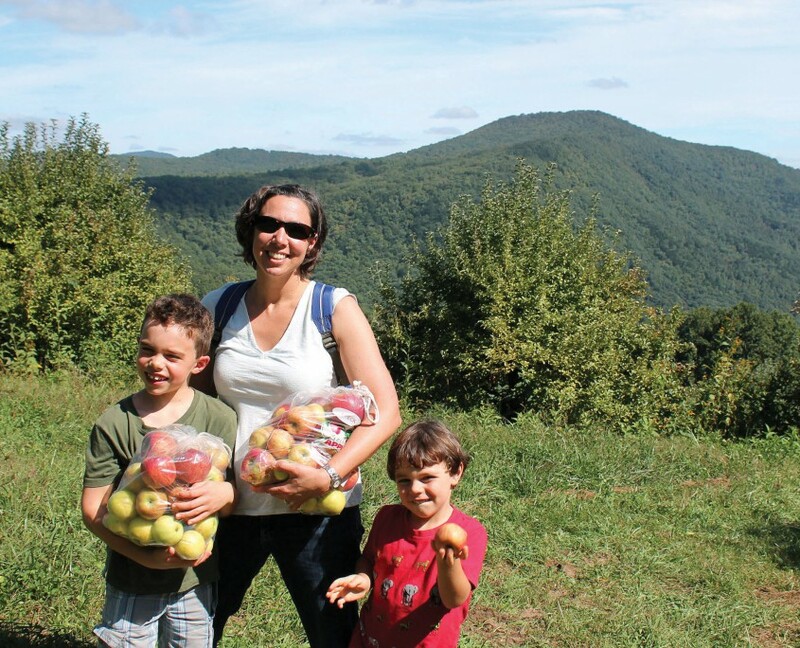 The Orchard at Altapass | Protecting the Blue Ridge Parkway in N.C. In 1994 Kit Trubey discovered that a cultural treasure along the Blue Ridge Parkway was threatened. Fear of bulldozers and the likelihood of intensive residential and commercial development prompted Ms. Trubey’s swift decision to purchase the 276-acre Orchard at Altapass. The land contained not only a working apple orchard but also a section of the Overmountain Victory National Historic Trail, taken by patriot militia on their way to the pivotal Revolutionary War battle at Kings Mountain. With the assistance of her brother and sister-in-law, Bill and Judy Carson, Kit started a crusade to forever preserve the land, apple trees, trails, vistas, and cultural heritage at the orchard. In 2001, CTNC purchased a 132-acre forested portion of the property above the Parkway and conveyed it to the National Park Service for inclusion in the Parkway’s boundaries. In 2015, CTNC permanently preserved the orchard. 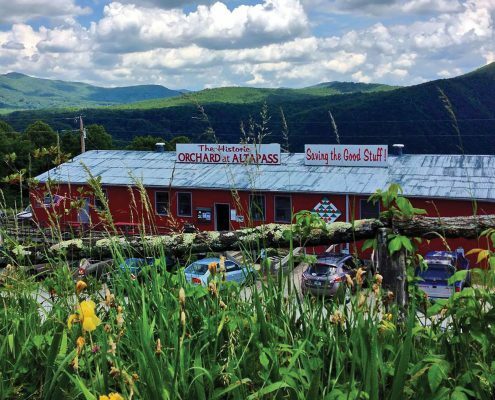 “We’re absolutely thrilled that all of the ‘good stuff’ at the Orchard at Altapass – the apple trees, music and dance hall, scenic vistas, hiking trails, and values of the community – will be protected for future generations to enjoy,” said Orchard co-owner Bill Carson. From May through October the orchard hosts Parkway travelers who enjoy live music, hayrides, fresh apples, magnificent scenic views of protected lands, hiking trails, food and souvenirs in this unique setting where history comes alive.